The straight and narrow could stand to be a bit deeper. 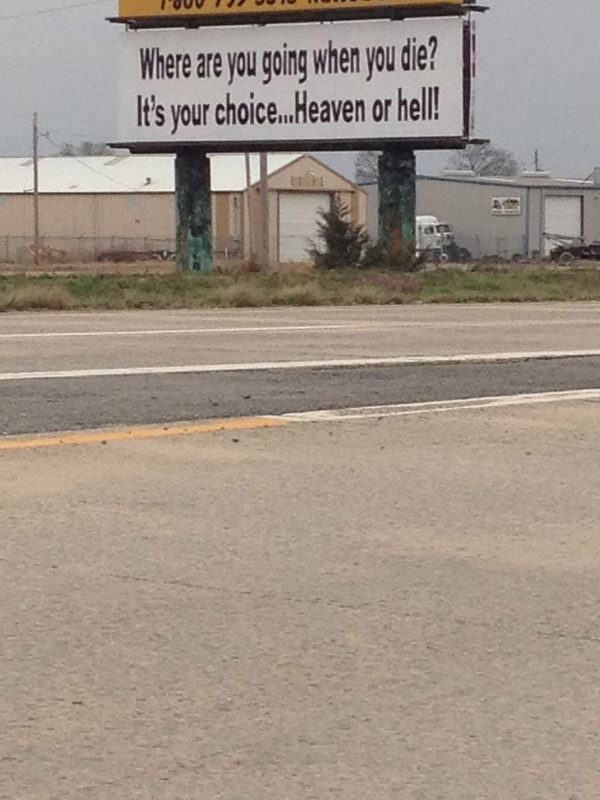 I have a strong desire for a better church in my city. Will it happen? I sure hope so. But in the churches I have attended in Little Rock I have found with my theology and my beliefs it’s like I’m stuck somewhere in the middle on the traditional/emergent pendulum. My theology is too liberal for some and too conservative for others. I don’t fall in line with the “traditional evangelical” church (please forgive that label, it is awfully generic) but I also don’t line up with the “emergent” church (also very generic label). I’m somewhere in between. I’m in limbo. I live in a state of dissonance, and as such I’m without a church that strikes that final note to make it a harmonic chord with my beliefs. I’m not looking for a perfect fit, or perfect church, because as long as churches are organized and attended by men and women it will always have a little bit of discord and dissonance. And I think a little bit of dissonance can be a healthy tuning instrument. At the same time I believe there are others here in Little Rock who might feel the same way I do – they find themselves falling somewhere in between and with no church to call home. But for now, I’ve started to read a book by Jim Belcher called Deep Church. It details a conversation between John Piper and Tony Jones and Doug Pagitt and well, it just didn’t end well. Basically both sides told each other they were unfit to be a pastor. So if we can’t get a group hug between the two sides…I want to find a way for myself to live more peaceably and more graciously within my traditional church (for the time being…more on that later) while I’m stuck dangling in the middle between the two. I’m about 50 pages into the book and so far it’s been a great read. It outlines the traditional church and the emergent church and talks about why they seem diametrically opposed in matters of faith and completely unable to work together or even hold a civil conversation. 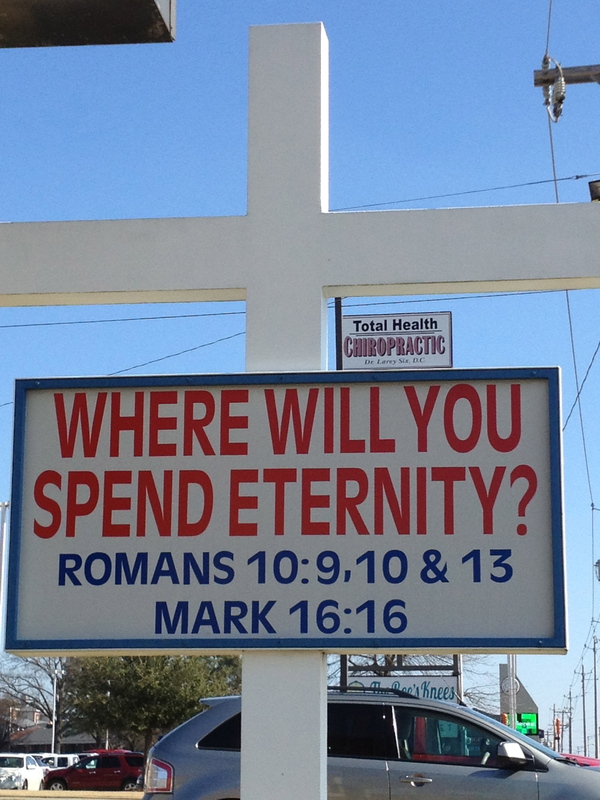 Again…are we not worshipping the same God?! Good grief people! Over the next couple of posts I’m going to outline some of the concerns I have with the traditional church and emergent church and also offer suggestions that can make our theology more in line with how we live our lives meaningfully on earth…which is our future heaven. 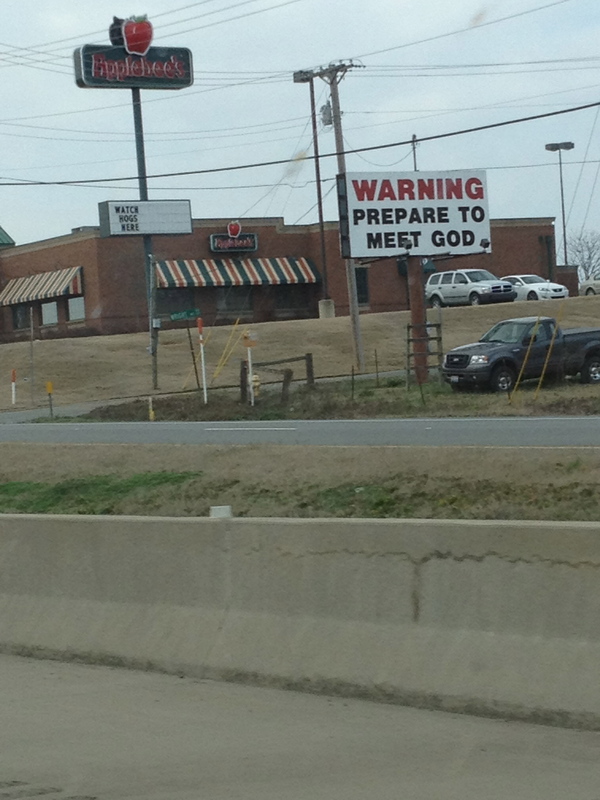 Wait a second…you don’t think God is going to destroy the earth we’re on now? Nope sure don’t. We need to be aware that our theology and how we interact with our culture and what we think about heaven and earth impacts how we live our lives today. 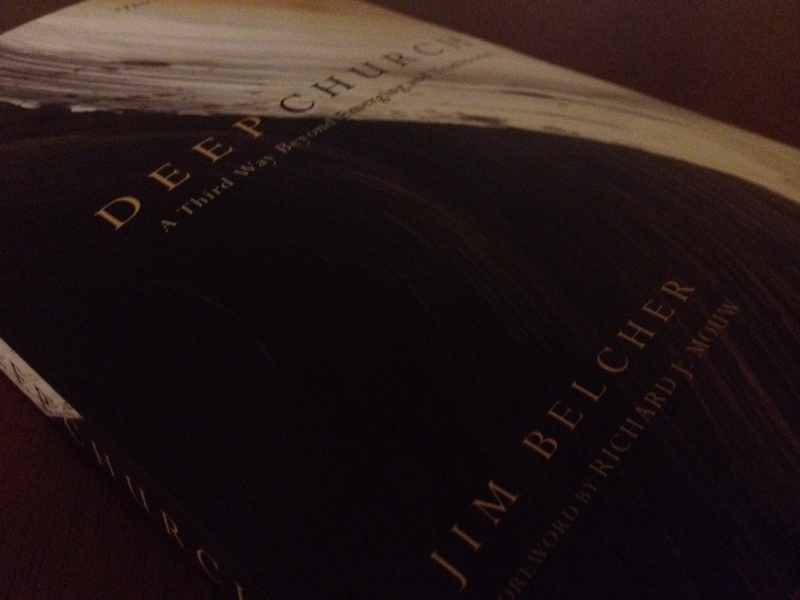 If you’re like me and find yourself stuck in the middle between the traditional and emergent churches and you’re wondering what to do about it I highly recommend checking out Deep Church by Jim Belcher. It (so far) is giving a fresh perspective of finding a balance and a deeper meaning to my faith than what is currently presented in the church I attend. I’ll be posting some thoughts on the movie “planet 51”, our all or nothing society, a conversation between a friend and I on if the Bible is absolutely everything we need, and some more on word intentionality and of course some good cigar and beer recommendations. I just need to find some time! First recommendation: Rocky Patel Renaissance cigar. I had this over thanksgiving with my brother in law (he enjoyed his first ever Rocky Patel the Edge) and I must say this cigar actually can give the Edge a run for it’s money; although it is a little more expensive $12.50 vs. $8.50. It was a very smooth draw, has a little bit of spice and is just as tasty as the Edge; you could consider the difference between these two cigars as Vino’s Pale Ale to Diamond Bear’s Pale Ale – if you never have had either of those you don’t know what I’m talking about. sorry. 😉 The Renasissance has an Ecuadorian Sumata wrapper and a blend of Ecuadorian and Nicaraguan filler. I also employed the use of my bullet cutter for the first time and I think I’m now a convert to the bullet cutter. I thought Tad wrote a great, brief synopsis on the book, “Why We’re Not Emergent (By Two Guys Who Should Be)” so I’ve linked to it. Tad also touches on mis-conceptions/misunderstandings that happen when non-emergent people critiquing emergent theology and emergent people. Labels is as labels does when it comes to emergent, but we’re confined to the system others have created with semantics. Check it out. Ok, so I’ve been a bit out of touch recently due to…nothing really other than having a serious case of writer’s block. I made a quasi-promise to a friend that I would blog over some mis-perceptions about emergent beliefs and leaders. There are some disturbing thoughts (disturbing to me at least) about the emergent movement where I believe most people are just shooting from the hip and judging ignorantly, but I will try to elaborate more on later. For now, if you have the opportunity to bring up, download, or rent the West Wing episode , “Five Votes Down” you will not be disappointed, it is the one of the most hilarious West Wing episodes ever. Toby is getting razzed and harassed by his fellow staffers after making $125,000 from a $5,000 investment and President Bartlet is a little loopy after taking strong pain meds. West Wing was such a great series and I miss not having new episodes but I’m reliving the good ol’ days by recording the series on Bravo. Cigar recommendation – I can’t stress enough how good of a cigar The Edge, by Rocky Patel is; go out get one and enjoy it.